Tied to the thought of what if it never happens, standing on the heels of a deadly generation. Kate Perdoni and Adam Hawkins met in Omaha, Nebraska in 2010. Before there was music, there was romance and in 2011 they welcomed a baby boy. Though they had been on tour together, written songs about each other and performed as part of each other's bands for more than a year, Perdoni and Hawkins did not write their first song together until two months after their son was born. They recorded the song, which became "20 Different Days," in the sanctuary of an old stone church owned by Hawkins' family. After the last patron went home, the two unloaded drums, guitars, amps, microphones, and their eight-week-old son and took turns laying down drum and guitar parts. Within a couple weeks the song was recorded, and two more were written and ready to go. Finding fresh inspiration in combining the excitement of new parenthood and musical collaboration with the desire to travel and explore, the two "packed it in" (in a Neil Young sense) to their 1985 Toyota Huntsman motorhome with one goal in mind: to find a beautiful place out in the country to record an album and raise their son. Three months, 3,000 miles and 18 states later, the young family landed just outside of Greensboro, North Carolina. 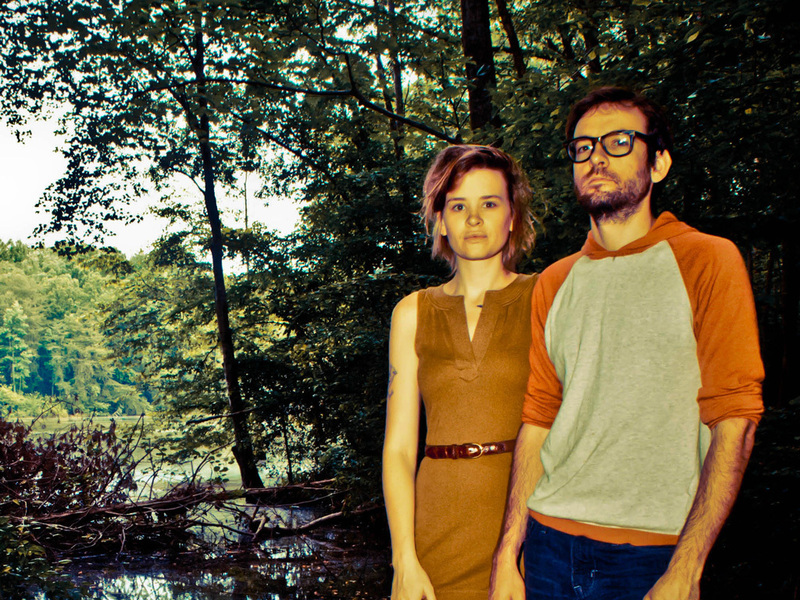 With a sound that brings elements of My Bloody Valentine, Slowdive and Yo La Tengo, filtered through a bright-eyed view, Eros and the Eschaton spent 2012 writing and recording, self-releasing two singles, touring whenever possible, and catching the ears of Bar/None through a session with Hear Nebraska, whose Andrew Norman said, "As a couple and as a band, Kate Perdoni and Adam Hawkins stand brave and vulnerable... strong enough and ready to tackle whatever comes." What came next was the release of Eros and the Eschaton’s debut full-length, Home Address for Civil War, which arrived in stores on August 13. Operating in the realm of the heart, Perdoni and Hawkins manifest creative abilities in intuition and exciting new opportunities, bringing insight and an awareness of unexplored possibilities and letting the listener know that the journey is possible.